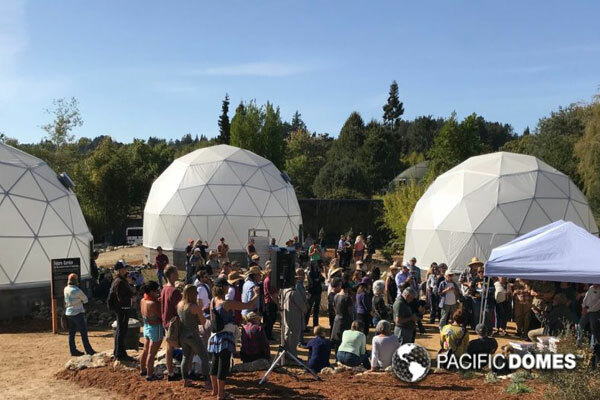 The UC Santa Cruz Arboretum and Botanic Garden is home to Future Garden, a dynamic and diverse ‘eco-systemic’ installation, overseen by UCSC professor emeritus, Newton Harrison. Professor Harrison and his late wife Helen Mayer Harrison worked in tandem with botanists and students at the Arboretum to create experimental/research gardens inside three geodesic Greenhouse Domes. An array of plant species native to the northern California coast are being cultivated in systems mimicking temperatures and water conditions projected for the region in the future. 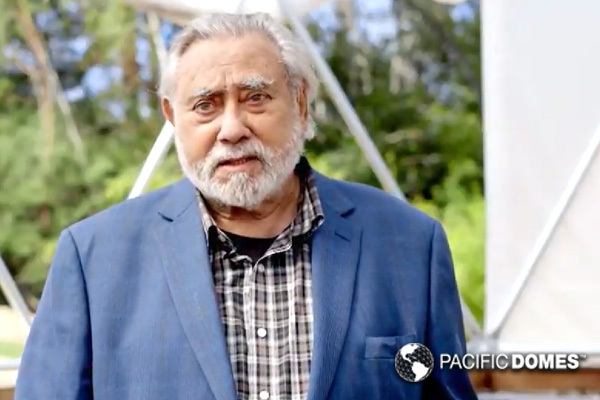 Harrison is driven by his vision for mitigating and rectifying the negative impact on ecology brought about by climate change. Throughout his 50 year career he has taught his principles and explains, the future of gardening and growing food lies in identifying durable and complementary plant species to create ecosystems that flourish as temperatures increase. 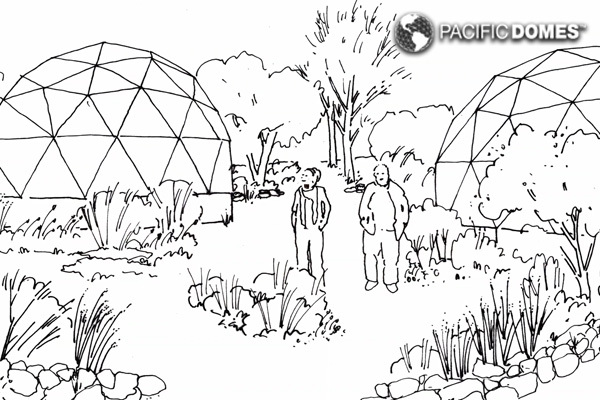 Harrison and UCSC’s gift comes in the form of three Greenhouse Domes. The climate inside a geodesic dome can be ‘tuned’, making them ideal structures for growing plants in a sustainable system. 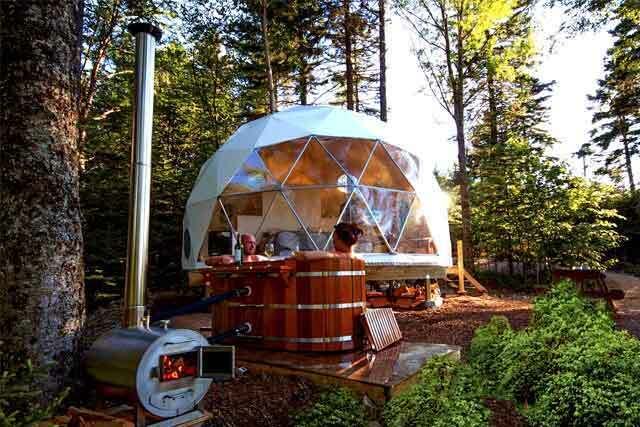 For research purposes the temperature in the Future Garden domes is held at 10 degrees Fahrenheit higher, and each dome has a particular watering regime. As local temperature rise in the future, rainfall will either increase or decrease. The water systems are set up to emulate these future variables. 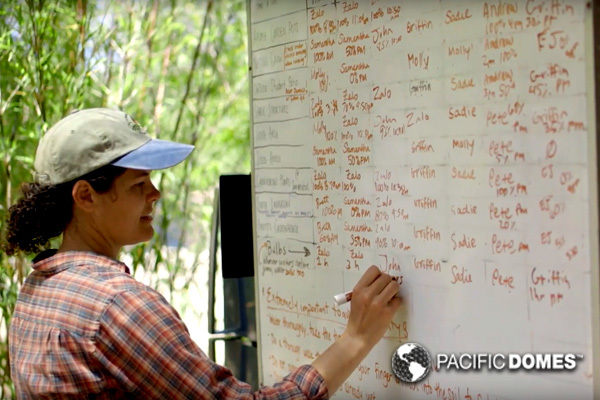 UCSC Environmental Studies student, Molly Dillingham planning for growth! Many of us feel prompted to consider the future of our own food supply. As self-sufficient individuals, how do we preserve and protect our access to a diverse food supply? Following Buckminster Fuller’s principle of ‘doing more with less’ geodesic Greenhouse Domes efficiently maintain optimal growing conditions and yield a variety of lush, productive crops. 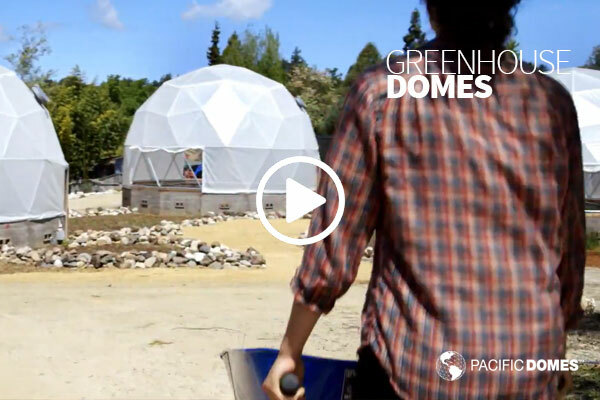 Greenhouse Domes preserve ambient heat and extend growing seasons long past the typical harvest, while also enclosing a greater cultivatable area than traditional greenhouses, e.g. vertical growing towers. Due to the dome form, air circulates naturally. Relative to the specific growing conditions of certain plants/crops screened doors and windows, as well as solar fans can be utilized to optimize air circulation. Known as the strongest and lightest structure known to man, geodesic domes withstand earthquakes and are ideal for regions threatened by extreme weather events including hurricanes, cyclones and tornadoes. Greenhouse Domes provide an ideal environment for cultivating seeds. The importance of seed banks in a world with a rapidly changing climate cannot be overstated. 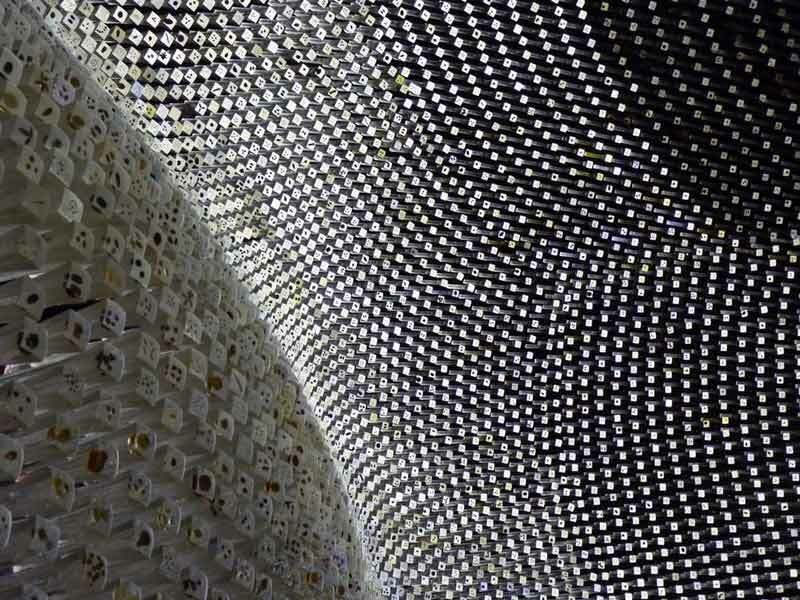 Who can forget renown designer Thomas Heatherwick’s Seed Cathedral which in 2010, elegantly highlighted the importance of plant diversity in an era of climate change. Like the Seed Cathedral, the aim of Future Garden is to educate people on the significance of plant diversity and inspire them to take action.